Thick crowds congregate and cheer when it comes to the sport of figure skating, whether the competition is as well-renowned as the Olympics, or of less grandiose prestige. 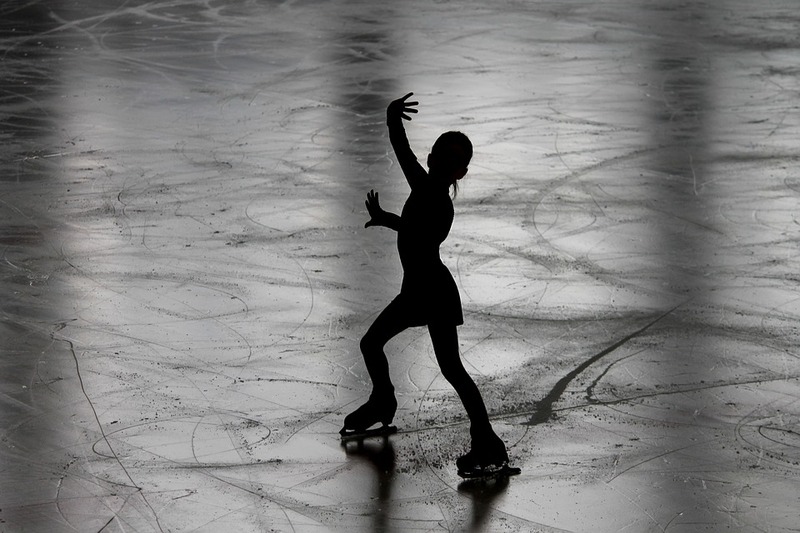 Perhaps it is a bit more popular than other sports because of the intense moves that the skaters are urged to perform without mistake, leaving the audience at the edge of their seats in anticipation – also, when two figure skaters perform together, they often create a romantic and dazzling piece so unforgettable that fans are formed forever. Time has produced many famous figure skaters, with some countries – such as Japan - producing some of the world’s best. Midori Ito was once at the top of the league of figure skating. Here is everything you need to know about her. Born “Ito Midori” (written in Japanese as “伊藤みどり”), on the 13th of August 1969, Midori Ito would go on to become a world-famous figure skater, competing usually as a single player in each game. Her specific birthplace is in the city of Nagoya, located within the Prefecture of Aichi in Japan. She would represent her home country throughout many competitions and win top-notch medals from those contests. Ito’s height is 1.45 meters or 4 ft. 9 in. her former coach was also well-known in the figure skating industry; Machiko Yamada (山田満知子). Yamada would go on to coach other stars-to-be such as Yukari Nakano, Mao Asada, Shoma Uno, and more. Ito was only four years old when she began skating. She started in a small rink in her hometown Nagoya, and just so happened to be in the same area as Machiko Yamada. She approached Yamada, and from then on, Yamada became her coach. Four years later, at the still tender age of 8, Ito would achieve the triple jump for the first time. Two years later, Ito’s parents went through a divorce, and she ended up being placed under the care of Yamada. She was 11 when she joined the World Junior Championships in 1981, which was her first major international competition. At 11 years old, little Ito weighed only 53 pounds and stood 3 feet 11 inches tall. Because of her small stature but high-powered leaps and spins on the rink earned her the nickname “Jumping Flea”. The very next year, Ito performed at the same competition again. She placed first when it came to free skating and the short program, however, she didn’t do as well in the same area she was weak in the year before; compulsory figures. She ranked up two spots from the previous year in terms of overall place, earning the 6th spot. Ito performed a triple toe loop-triple toe loop combination as well as a triple flip for her free skating routine. She also landed a triple lutz in that competition. The next year, Ito did not compete in the World Junior Championships, as she was recovering from a broken ankle. She did, however, make a comeback by performing at her senior international debut, which was held in the Netherlands, at the Ennia Challenge Cup. In the Ennia Challenge Cup, Ito shown brightly, as her known weak spot, compulsory figures, was to be excluded in the competition, and instead, only the short program and free skating were to be judged. Ito took home second place in that contest, as future Olympic titlist Katarina Witt outdid her. Nonetheless, Ito wowed the audience with her maneuvers. She landed two toe loops, a flip, loop, salchow, and a lutz, totaling to six triple jumps. As for the short program, she was able to perform a double loop-triple loop combination. Ito was back on her feet at the 1984 World Junior Championships, this time dominating both the free skating and short program, but was once again held back by compulsory figures, as she scored a low placement there. Overall, however, she won 3rd place. Ito also would perform at the 1984 World Championships, coming in at 7th place. The next year, Ito took home her first national championship, but because she had broken her ankle once more, she did not go on to compete at the 1985 World Championships. 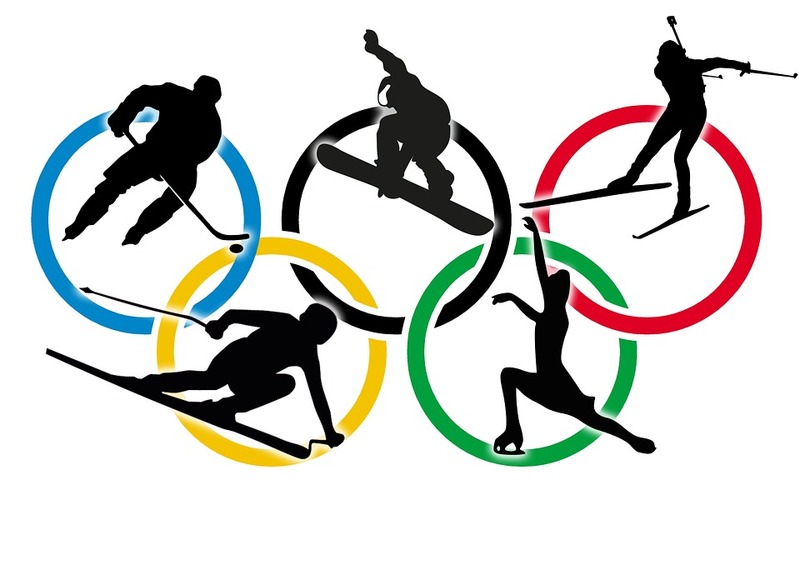 But she did join the Winter Olympics 3 years later – the 1988 Winter Olympics held in Calgary, Alberta, Canada. Here, the six-figure skating jumps she pulled were a salchow, a flip, a Lutz, a loop, a triple toe loop-triple toe loop, a salchow, and a double axel-half loop-triple salchow. For her exhibition, she received a score of 5.9 seven times. She landed seven triples in the free skating aspect, which gave her the title of being the first woman to ever have done so. It was also in 1988 when Midori Ito successfully completed the triple Axel in an international competition. A triple axel is a move so complex and hard to do that many skaters try to master it but fail. It requires the skater to jump from the outside edge of his/her skates, make 3 and a half rotations in the air, and land on the back outside edge – but on the opposite foot. It takes intense training and focus to get it right, as well as many repetitions. Midori Ito became a legend that day, as she was the first woman ever to land this jump during an international competition and not training – and she did this during the 1988 NHK Trophy. Although the 1988 NHK was the first time it was seen internationally, the competition that she truly first landed it in was in a regional one held in the prefecture of Aichi. The NHK wasn’t the last time she’d do it, she did it again at the 1989 World Championships (which she won, thus finally receiving her first world title in the sport.) She did it again at the 1989 NHK Trophy competition too, - including 7 triples. Mito competed at the 1990 World Championships, and placed 10th, but won gold in free skating and the short program. In that year, she met Emperor Akihito, after a formal invitation. Though she placed decently in the 1990 World Championships, Ito would face a series of struggles the next year. She had surgery to take out a pair of glandular cysts in her throat, which left her in the hospital for a little over two weeks. It was at that same year that she bruised her hip and part of her foot when she bumped Laetita Hubert (a French figure skater) while training for the 1991 World Championships. During the competition itself, she pulled a jump too near the rink’s edge and took a fall but sprung up right back to continue performing. Despite her blooper, she came in 4th place. Other women have since performed the triple axel while in competition, such as Tonya Harding, Yukari Nakano, Ludmila Nelidina, Mao Asada, Elizaveta Tuktamysheva, and others, but Midori Ito will always have been the first – and one of 3 women, (among Mao Asada and Mirai Nagasu), to have successfully performed this move in the Olympics. Mirai Nagasu, who hails from the USA, made news in February of 2018 when she also was able to land the triple Axel in the Olympics. Because of her performance, the American team took home the bronze medal. She also became the first American woman ever who was able to pull the triple axel at an Olympic competition. Other lady figure skaters who have been compared to Midori Ito include Michelle Kwan, Surya Bonaly, Maria Viktorovna Butyrskaya, Sonja Henie, and Kristi Yamaguchi. It was during this competition that Ito became the first woman to pull the triple axel while in an Olympic competition – but what’s interesting to note is that she tried to pull it at the beginning of her free skate but failed. Unbothered by her first failure, Ito would march on towards the end of her performance, repeating once again – and only this time was she successful. She took home the silver medal for this competition, and in nationalistic spirit, apologized to Japan for being unable to bring home the gold medal. After more than a decade of competitive skating, Ito turned her figure skating into a more professional career. She participated in different ice shows throughout her home country and would perform the famed triple Axel move. Though she did try to dip back into a competitive skating event here and there from 1995 to 1996, that did not prove lucrative. She was still legendary enough to light the Olympic flame when the 1998 Winter Olympics began its opening ceremonies. Programs that she has free skated for include “The Whisper of the River” by Noboyuki Tsujii from 2010 to 2011 and the theme for the television series “Atsuhime”, by Ryo Yoshimata, from 2012 to 2013. Before 1996, she also performed in short programs such as Cinderella, The Firebird, Tango Jalousie, España cañí, Warsaw Concerto, Anvil Chorus, Memories of You, Fantastic Tango, and many more for several exhibitions. Ito did make a comeback in 2011, competing at the ISU Adult Figure Skating Competition, where she earned 2nd place in Ladies’ Masters Elite II. She participated again in 2012 and once more won 2nd place. Finally, in 2013, she became champion, scoring 12 points higher than the second placer. In 2003, Midori Ito was inducted into the World Figure Skating Hall of Fame. All in all, she successfully performed 18 triple axels while competing. She has since made 3 appearances in DVD and has been mentioned thrice in books as well. How Is Midori Ito Doing Now, in 2018? Has She Since Been Married? Even this year, Midori Ito still competed in the International Adult Figure Skating Competition. Even at 48 years old, she still is active in competing, despite not winning any significant awards since 2013. While she no longer does her triple axel move anymore, she still does very well for someone of 48 years old. She can still pull off a double Axel. Because Midori Ito is incredibly private, not much is said about her personal life. All that is known about her marriage is that she wed a man named Masaru Yamaki back in 2004, but split after 2 years, in 2006. Her net worth is also not disclosed, though it’s guessed to be beyond a million dollars.